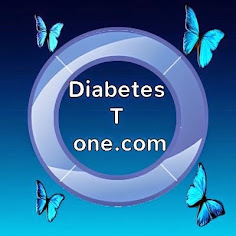 Diabetes T One - Blogs : Type 1 Diabetes is an Autoimmune Disease but does Stress and Trauma play a part in triggering it ? 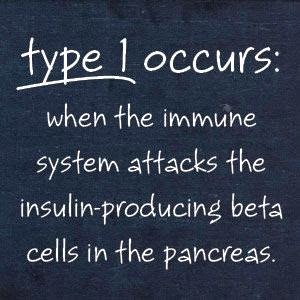 Type 1 Diabetes is an Autoimmune Disease but does Stress and Trauma play a part in triggering it ? ​Im well aware of the fact that we dont have a clear cause of type 1 diabetes, some say it was triggered by a virus or other illness, many people say when it comes to children, that the child had'nt been well with another illness in the run up to being diagnosed​. In my case i blame ( if thats the right term ) stress and trauma and iv always believed this is what started my autoimmune problems. i had hit a part in my life where life as i knew it had just fallen apart in every form. The changes that came with it left me feeling extremely lost and very shocked and very frightened. extremely stressed and barely coping is the way i would describe this episode of my life. When i had lost a huge amount of weight, and had various other symptoms i did go to a gp about it but i prescribed zanax to help me relax and take me down from the extreme state of fear and stress i was living with. 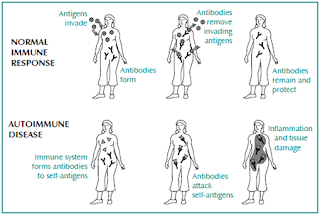 It was only after i had collapsed in work and was brought to another GP that i ended up in A&E, the blood test taken there revealed Hyperthyroid, ( full blown Graves Disease ) an autoimmune disease where the thyroid gland was over active and producing too much iodine. My finger nail beds were dying and were parting company with my nails, the same thing was happening with my toe nails, my skin had taken on a tan to be proud of, i walked around in the depts of winter looking like id been sprayed on a daily basis. My hair was clearly thinning, o ye and i had the shakes as id hand over money to pay for something in a shop, i had a shake like someone who had been on the vodka all night. palpatations became very regular and lasted for hours. SVT's they called them, which eventually led to a situation i hope never to have to face again. I ended up in intensive care after my heart had to be stopped by injection and then they brought me back to life. A procedure a few weeks later called an AV node ablation sorted this out. Although my thyroid condition was put into remission a few years later with medication and to date it has remained there, i do firmly believe that this is what and where my autoimmune problems started. Moving forward a few years and my symptoms seemed to have re visited me and thinking i was out of remission i went for blood tests and that was when the word "Diabetes" was first said to me.